BridgeTech, an IT consulting company that provides enterprise proven IT solutions to small businesses, announced today that it has partnered with Goodly to offer student loan repayment to its employees based in Oregon. Working with the San Francisco-based Goodly, the leading provider of employer student loan benefits, BridgeTech joins a growing list of innovative companies tackling the student debt crisis through employee benefits. For graduates of the class of 2017 in Oregon, two-thirds entered the workforce burdened by student debt and student debt is now the second-highest debt load for Oregonians second only to mortgages. “It’s not often companies like Goodly are founded to solve a very real problem and one that is good for our society” says Harris. BridgeTech utilizes Goodly’s platform to administer student loan benefits by making monthly contributions towards paying down their employees’ student debt. With the launch of their student loan repayment program in January 2019, BridgeTech is believed to be the first employer in Oregon to offer student loan repayment as an employee benefit. Participating employees are eligible to receive up to $1,200 per year in employer contributions directly toward the principal of their student loan. BridgeTech is an IT Consulting Company that leverages it's bench of Enterprise Level IT Talent to provide best of breed IT Service and Support to the valuable clients it serves. 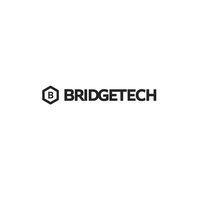 BridgeTech provides unparalleled IT Service and Support by always keeping the client relationship front and center, acting as the client’s Trusted Advisory Team for technology matters. BridgeTech prides itself on industry best response time when responding to clients’ needs for tech support. Goodly is the industry leading platform that lets any employer offer student loan assistance to employees easily and affordably. The turnkey employer solution lets companies make regular contributions towards paying down employees’ student loans. By leveraging its superior technology, Goodly has made student loan benefits accessible and affordable for teams of any size and budget. Companies that offer Goodly are able to better attract and retain top talent by providing meaningful benefits that support and engage employees.